Thanks for visiting my website. My name is John and I am a Grade A* DVSA Approved Driving Instructor, with over 15 years experience. I cover most areas of Liverpool, covering both the Garston and Norris Green test centres. My name is John, I'm 40 years old and I've been teaching people to drive for over 15 years. In that time I have helped hundreds of people pass their Practical Driving Test. All driving lessons are tailored to suit your individual needs, whatever level you are at. Whether you're a complete beginner or approaching your driving test. 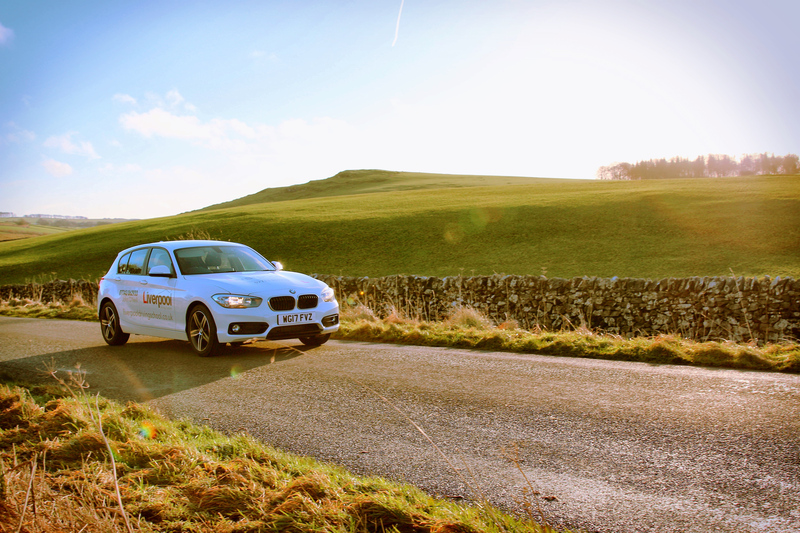 You can be assured that your driving lessons with Liverpool Driving School will be of the highest standard. You can monitor your progress lesson by lesson with your Driver's Record. Help is also available with the Theory test, including hazard perception if required. I pride myself in teaching to the highest possible standards and achieving great results! I have recently been regraded by the Driving Standards Agency as a Grade A Instructor. Grade A is the highest grade achievable and with a First Time pass rate of 80% - 85% (double the national average) you're in safe hands. Driving lessons are charged by the hour. I offer 2 hour driving lessons. This will allow you to get the most out of your driving lessons and save you time and money. You also have the option of prepaying a block of lessons to reduce your hourly rate. When starting your driving lessons it’s important you feel comfortable with your driving instructor. I am friendly and patient and will make you feel at ease throughout your driving lessons. Over the years I have taught many different people of all experience levels and abilities and I will structure your driving lessons to fit your experience level. Whether you’re getting behind the wheel for the first time, close to test standard or just taking some refresher lessons, I will tailor your driving lessons fit your requirements. When you start your lessons, regardless of your experience level, you will be given a Driver Record which you will need to bring with you each week. This record contains all of the subjects required to reach the test standard. Each time we cover and new skill or previously covered skill, you will be graded with a level. This allows both you and me to keep track where you’re up to within the driving syllabus. Your driver record also contains your reflective log which is used to tailor your lessons to your learning needs. Without this record, it would be difficult to structure your driving lessons and keep on track of your progress. The practical test The driving test is designed for you to show your practical skills and understanding of the Highway Code and the theory of driving safely. Throughout the test your examiner will be looking for an overall safe standard of driving. Find out about the different parts of your driving test. The driving test is straightforward and has been designed to see if you: can drive safely in different road and traffic conditions know The Highway Code and can show this through your driving ability So long as you show the standard required, you'll pass your driving test. There are no pass or fail quotas. Before you start the driving ability part of your test Before you start the driving ability part of your test, you'll have an eyesight check and be asked two vehicle safety questions. The driving part of your test will last about 40 minutes. Throughout the test your examiner will be looking for an overall safe standard of driving. Your general driving ability During your test the examiner will give you directions which you should follow. You'll drive in various road and traffic conditions. You should drive in the way your instructor has trained you. You might also be asked to carry out an emergency stop. Your ability to reverse your vehicle safely You'll be asked to complete an exercise to show how well you can reverse your vehicle. The examiner will choose one exercise from: reversing around a corner turning in the road reverse parking - either into a parking bay, or parallel parking at the side of the road. If I don't answer, I maybe on a driving lesson. Either leave a message or drop me a text and I'll get back to you when I'm available.